It’s October (Oh god. It’s November.) already and still the dust is settling after LIVE 2013. That week flew by: a flurry of art and artists, of late night meals and intense discussion, of last-minute changes and spontaneous decisions. What fun to take part! 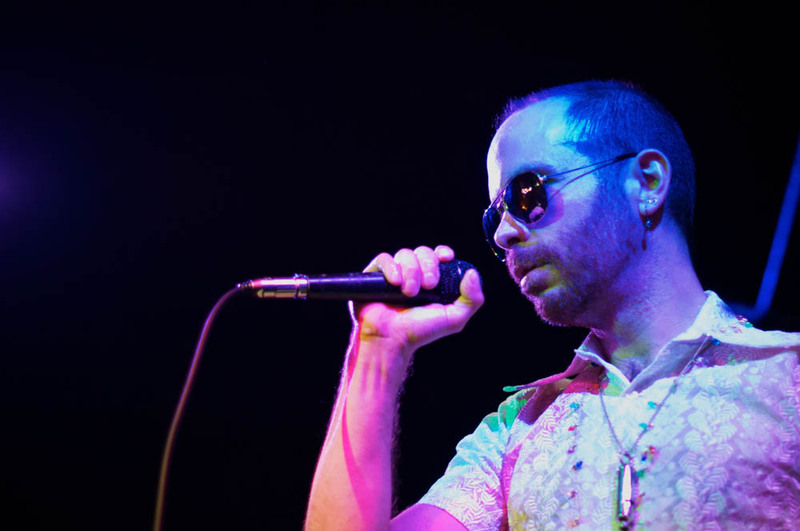 As a newfound excitement around the medium of performance continues to gain momentum, LIVE intends to direct this energy towards facilitating greater discourse around performance art and the development of performance-based practices, expanding platforms for presenting the performance medium, and connecting the concerns of performance with wider dialogues in contemporary and visual art. Looking back, there is also much to look forward to and work towards. This year’s program served to inaugurate a few new ideas that have been bouncing around LIVE for quite some time, one being a greater focus on processes and pedagogy, on practices over end results. 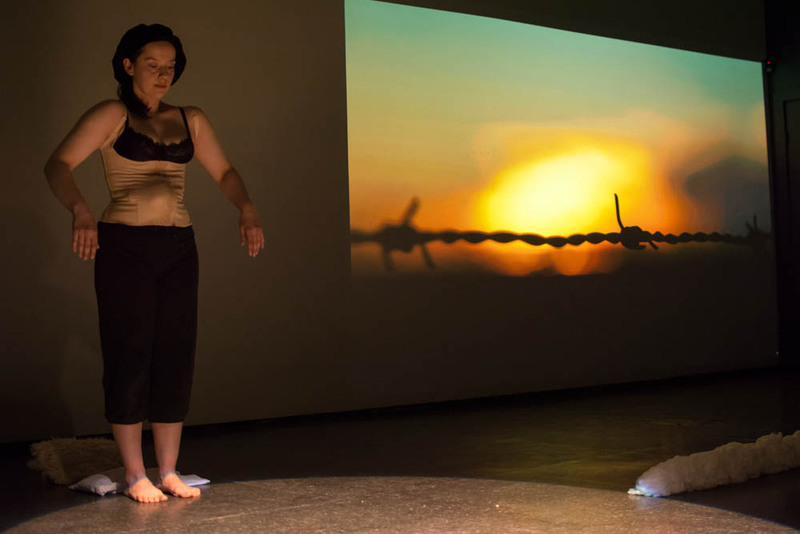 Parenthetically, I saw some similar ideas articulated in the piece “Trail of Love” presented by Lori Blondeau, which closed the first evening of LIVE’s performances. Working through the day, Blondeau methodically outlined figures based on aboriginal petroglyphs in red, white, yellow, and pink rose petals. The atmosphere was causal, with friends helping, music playing, audience members drifting in and out of VIVO, an opened bottle of wine displayed on the floor. LIVE’s designer, Walter Scott, called it “a girls’ night out”, totally, but as Blondeau glued on the petals that formed the last figure, I felt what I was really privy to was an artist at work as a work of art. 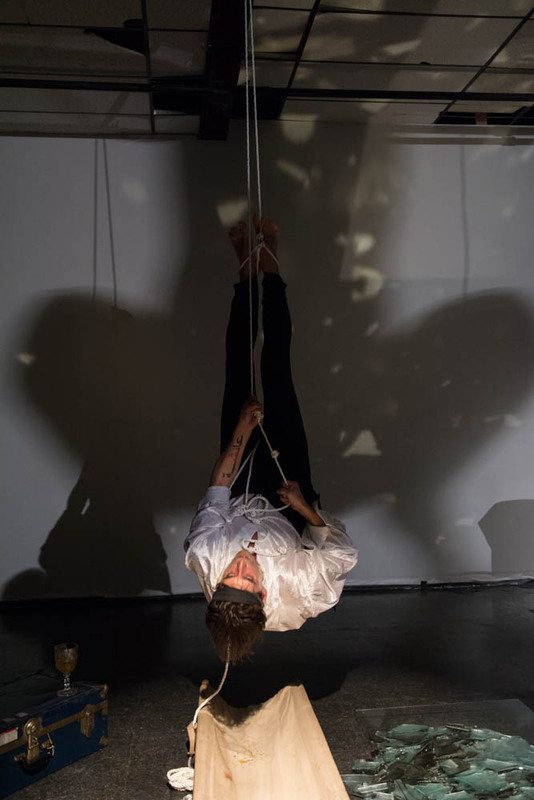 LIVE’s program addressed art practices in more direct terms as well through the performance art workshop led by Black Market International co-founder Jürgen Fritz. 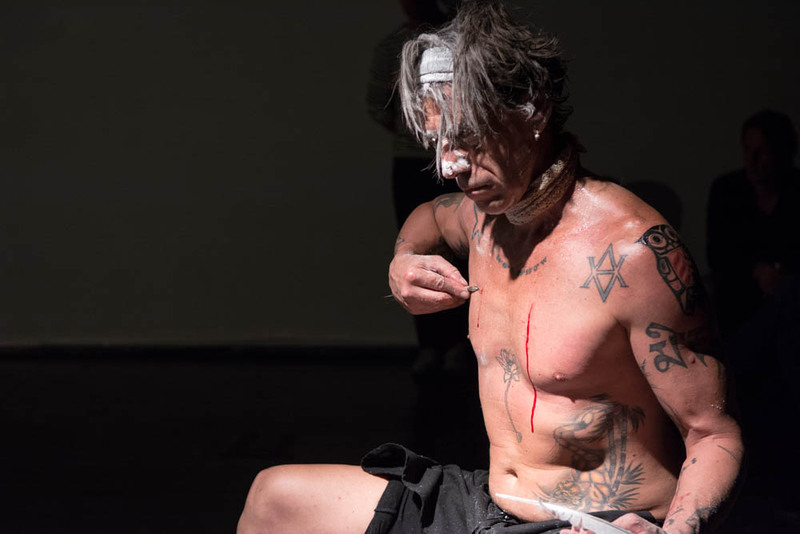 This was a physically intensive four-day endeavour, culminating in a two-hour group performance by workshop participants. 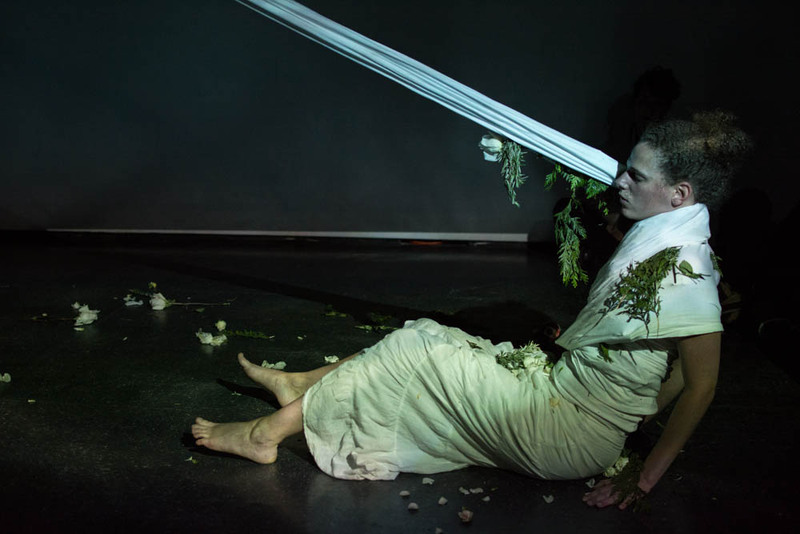 “Exploring Performance Art” is the first in a series of upcoming residencies and workshops that will serve as a means of introducing art practitioners to rigorous ideas on performance and generating sustained, meaningful dialogue around the medium within the context of Vancouver. 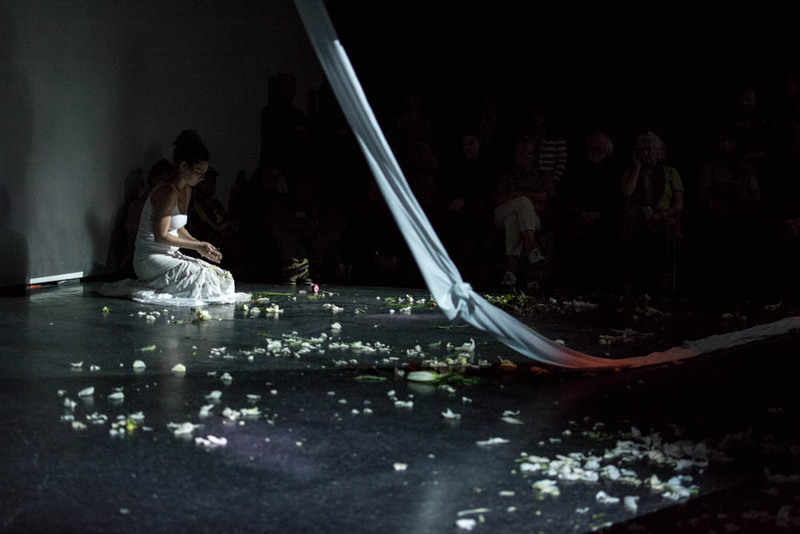 I see these programs as an extension of the Retreat organized by LIVE in 2012, a co-ordination meeting between performance art organizations, the results of which are just now being published. 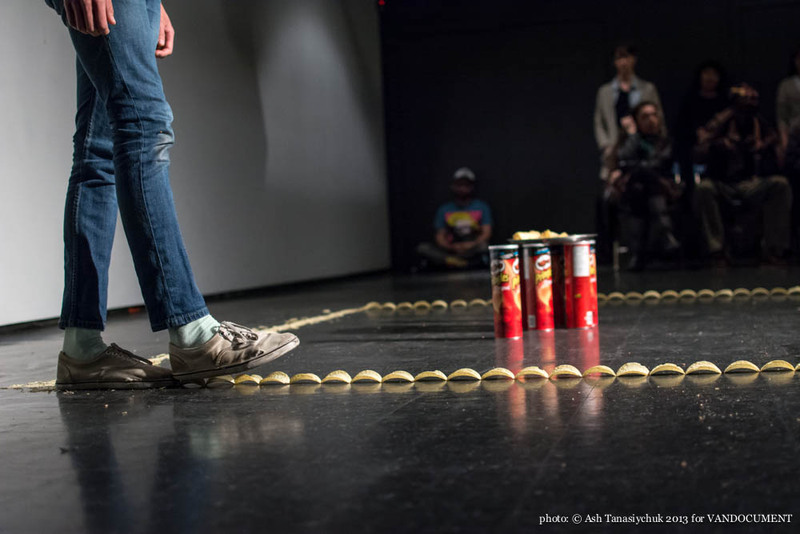 Both are a means for LIVE to go beyond the simple presentation of performance art, ensuring that the medium is developed and promoted with intention both regionally and globally. 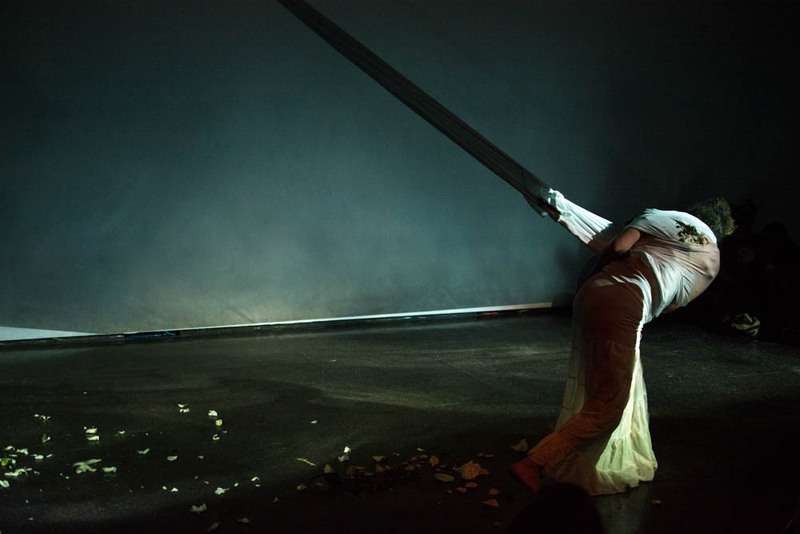 I would argue that more than any other medium, performance—gestures, interventions, and art actions—has the potential to move beyond the formal concerns of art—the white box of the gallery, the black box of theatre—and touch upon the real. In this respect, the most challenging piece I witnessed this year was Jelili Atiku’s street performance, where, stripped down and painted gaudy blue, Atiku dragged bundles of clothes chained together with strips of cloth along Hastings St. in Vancouver. Though volunteers helped him with this task, Atiku shouldered much of this soaked and heavy burden on his own. He laid out on the sidewalk. He handed oranges out on the street. 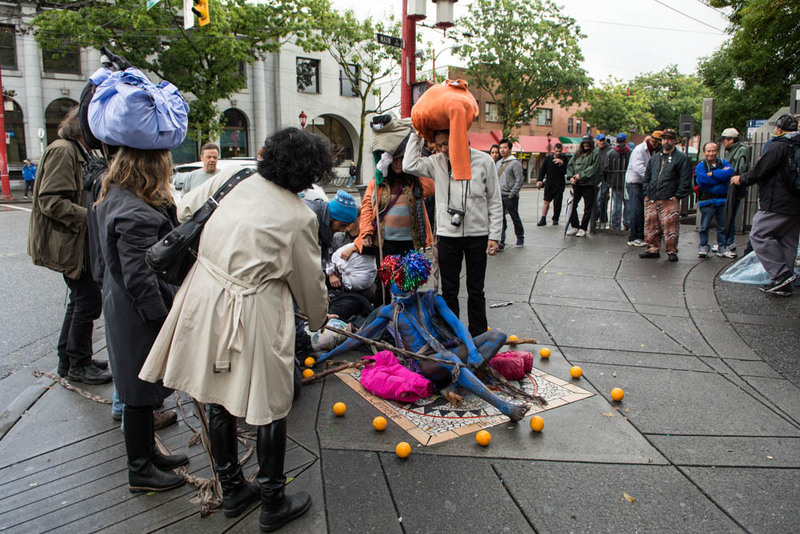 The performance respectfully brought to mind the meaning of inserting one’s own experience, coming from a parallel context of marginalization, into the DTES. 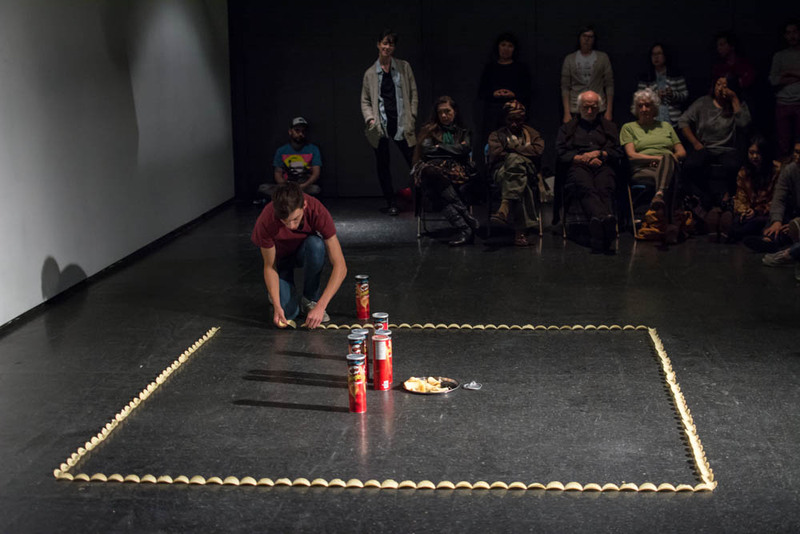 By consistently commissioning art that engages audiences outside of the gallery and curating work by artists from so-called developing nations, LIVE continues to facilitate the exploration of boundaries between place, audience, situation. 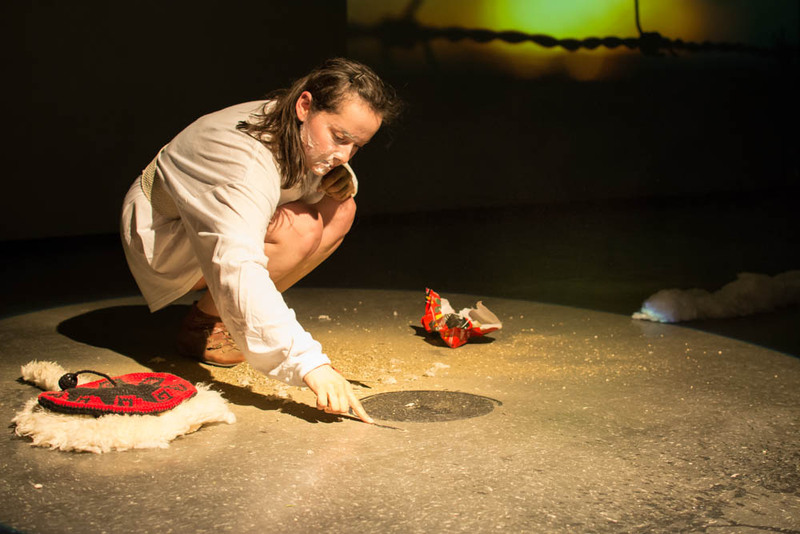 Another instance: Macarena Perich-Rosas’ idiosyncratic magnetism as she beautifully conveyed an impression of Patagonia, her home “at the end of the world”. 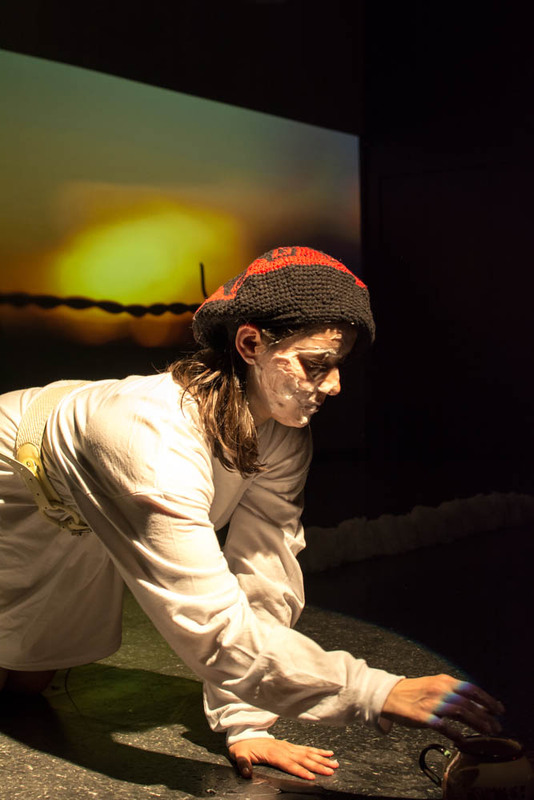 Rosas’ performance alluded to regionalism through strange and simple objects: yerba matte tea, woolly sheep hides, chamomile cream, traditional boina berets. At her artist talk the next day, I could not help but picture her action of precariously tightrope-walking along a cirrus cloud of cotton balls as she spoke of her isolated, challenging, and windy home as a specific counterpoint to the totalizing influence of globalization and the corresponding, homogenizing tendencies of contemporary art. 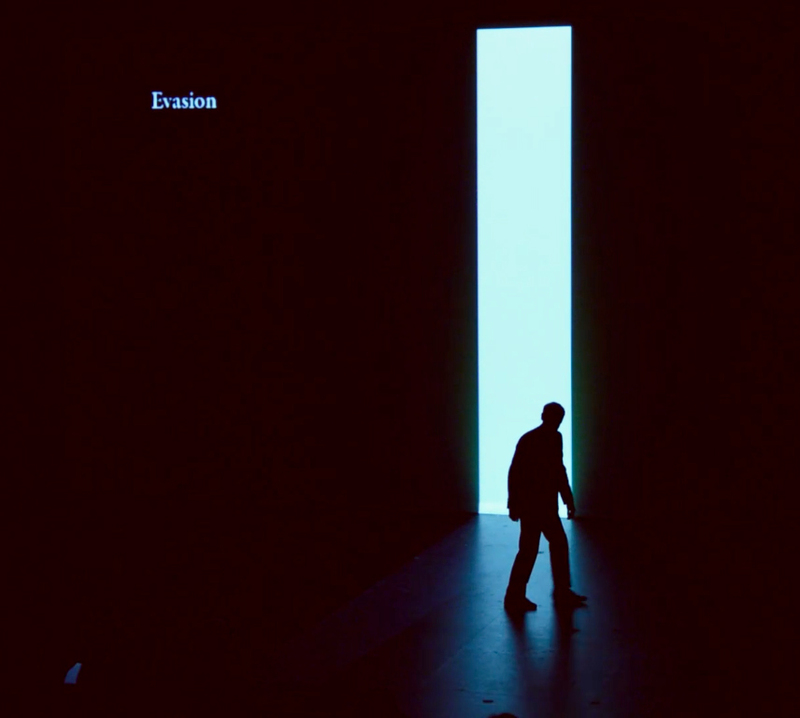 Frames and white boxes are not only spatial but also temporal… Though the practice is decades old, durational performance remains a challenge to art audiences, calling attention to the passage of time in ways that cannot be easily consumed. 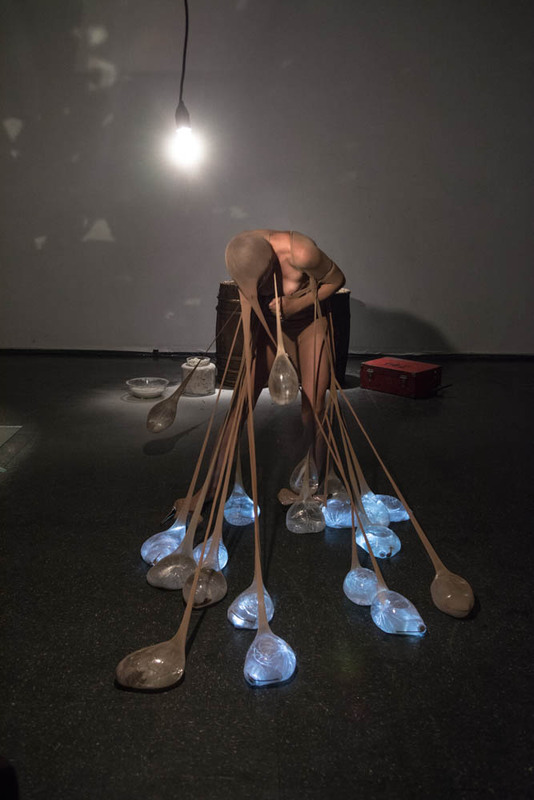 During LIVE, I was surprised to observe that many people still do not know what to make of durational work and tend to discount that which does not instantly gratify. It bothered me that Alain-Martin Richard’s subtle manoeuvres, slow as a melting ice cap, often slipped by unnoticed. 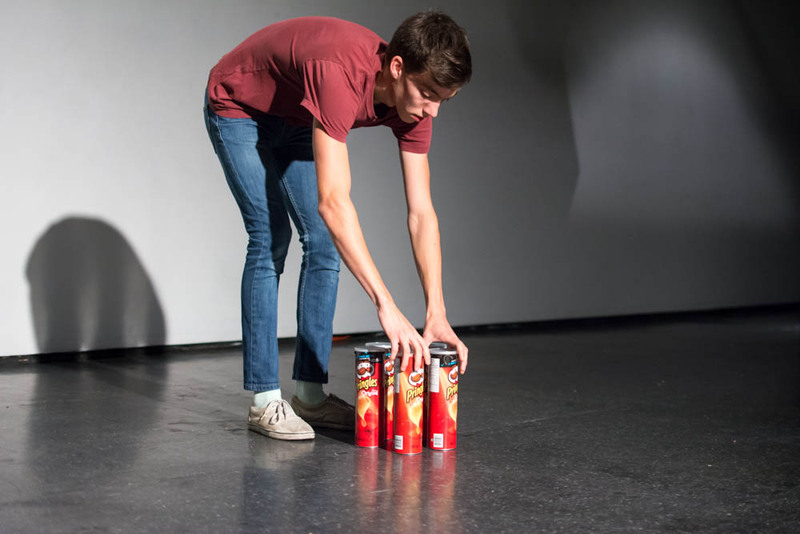 Richard’s performance was a microcosm of world catastrophe: a communion between himself and a block of ice with potatoes, corn, grains, rice—the staple foods of the world—frozen into it. It bothered me too that when Snežana Golubović unravelled a riveting-red handmade dress from her body, she only had time to shorten the length of it up to her ankles: the standard half- to one-hour time allotment typical to the presentation of performance art was not sufficient. Really, a wealth of time- and performance-based work does not fit such temporal constraints, nor should it have to. In our programming, LIVE must further address how to afford sufficient time and space to such meditative, often understated pieces, so that viewers may give them the weight and attention that they require. 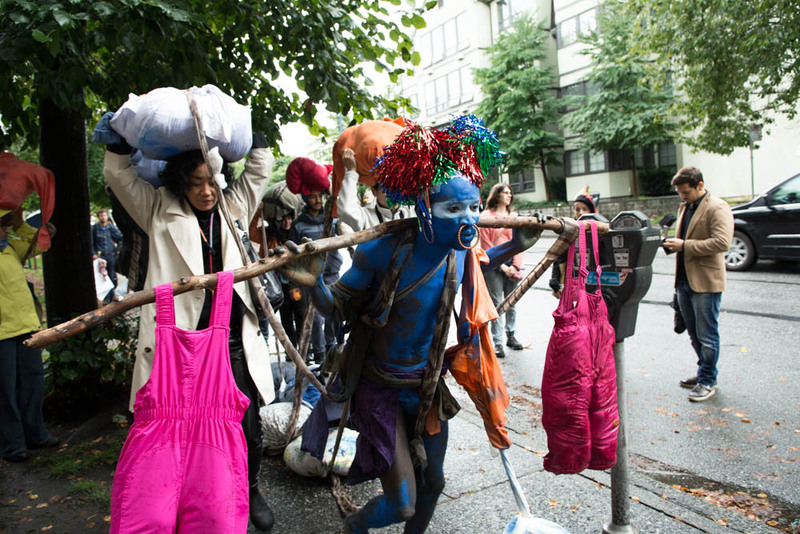 During the concluding day of the 2013 LIVE I accepted a mid-performance invitation of Nigerian Artist Jelili Atiku to join a handful of other volunteers in a shuffling and rainy trajectory through the heart of the Downtown Eastside (DTES) by way of Hastings Street. Pulled by tethers formed from long strips of ripped fabric haphazardly attached to heavy packages of wet clothing that the artist had balanced on the tops of our heads, the procession became arduous. We were “elements” according to a text written onto poster-sized paper, and we were tasked with helping the artist to transport the soggy bundles from the Oppenheimer Park totem pole (1997) to the Victory Square Cenotaph (1924). With both monuments, each about 30’ in height, serving as local memorials, the procession carried elements of mourning. 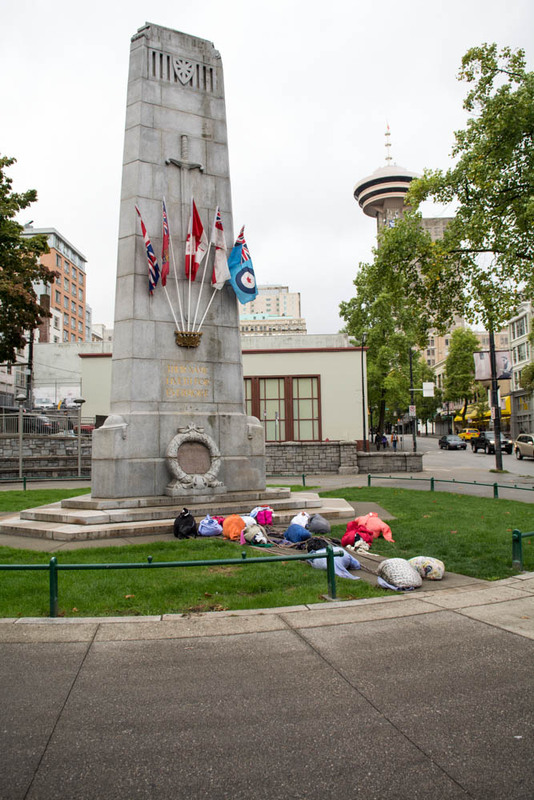 The totem “is meant to represent all those who have died in the Downtown Eastside and give strength to those left behind”, and the cenotaph has been the site of the city’s annual Remembrance Day ceremonies since the end of World War 1. 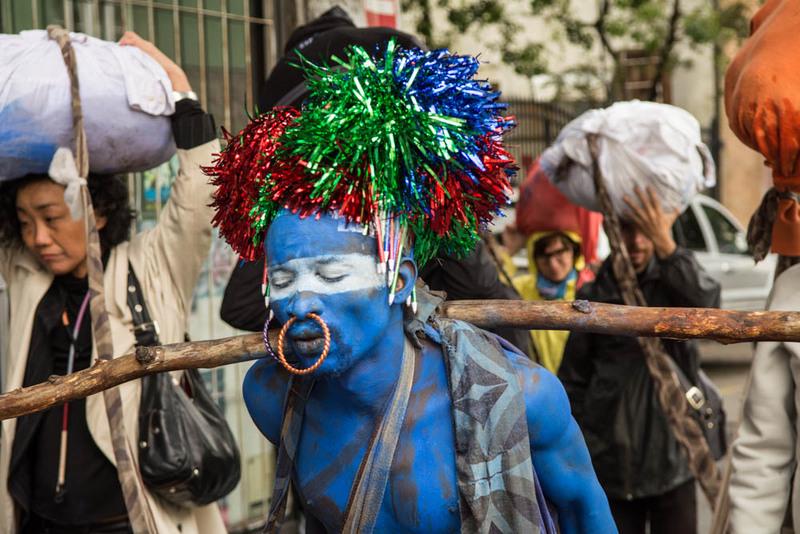 But the event seemed to present to the street much less familiar and even exotic elements: a small man completely adorned in blue paint (perhaps read as Yves Klein blue by some of the performance art audience), a metallic wig and an impossibly large nose ring. I wondered if the mini-spectacle that we formed could have also been read as an obscure echo to a more legible march earlier the same day. In the morning thousands of people had joined the Walk for Reconciliation: A New Way Forward, a concluding event to Vancouver’s hosting of the National Truth and Reconciliation Commission. The week-long commission had ceremonially entered into a national registry local testimonies from those who had experienced first-hand abuse or the generational and systematic injustices resulting from Canada’s Indian residential schools system (1840s to 1996). In contrast to the TRC march that could be understood as a coherent and definitive street performance, Atiku’s small procession posed only a minor disruption to the usual operations of Hastings Street. 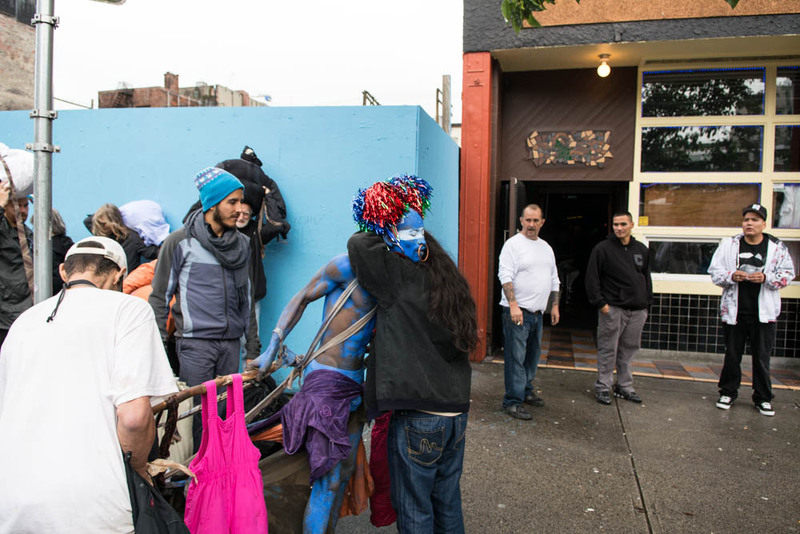 As we dodged the familiar commotion, we elements fielded widely ranging questions from passersby: “What is going on?” “What is this for?” “How long has the blue guy lived here?” (the last comment recounted by R. Gledhill later in an email). And more defensively: “There are poor people where you live too!” “This is not at all cool: these people here are already really suffering!” The quick judgments of those we passed stayed with me as I tried to make sense of prodding, heavily laden and labouring participation. 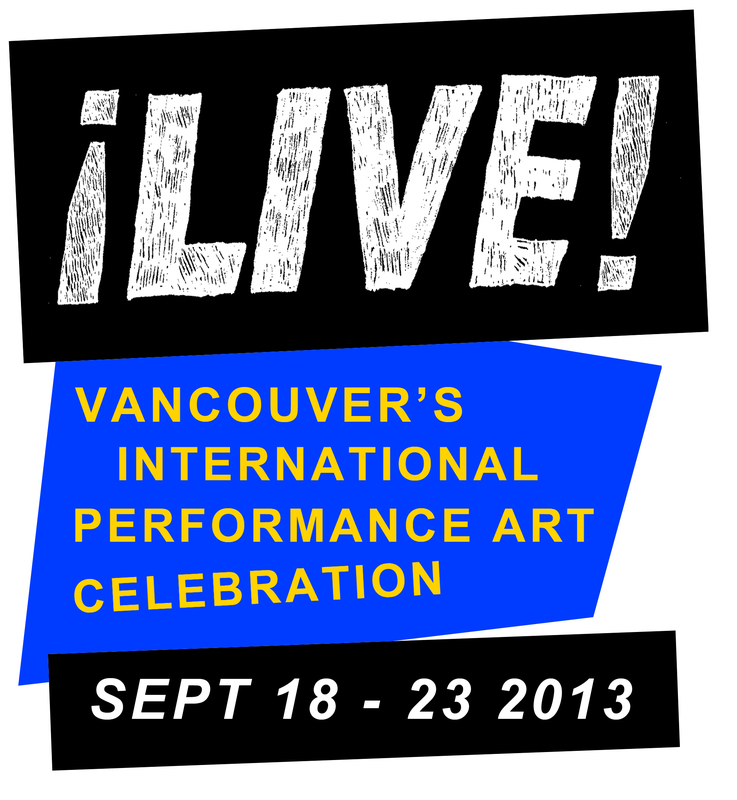 LIVE has developed a tradition of situating performance art in the DTES. During the 2011 festival, one of the evenings called the Drag, was a tour of the emergent artist-run spaces in the region between 221A on East Georgia and Pigeon Park. 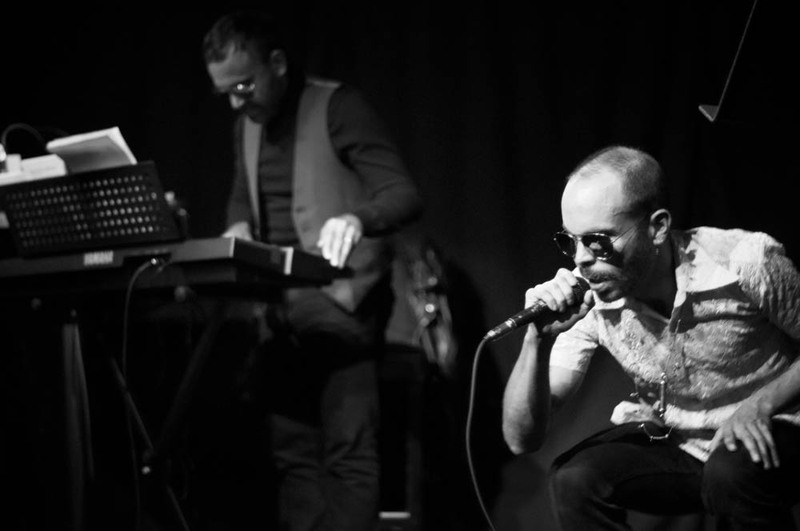 I wrote then that the situation of art production within the most economically impoverished, yet politically charged neighbourhood in Canada resulted in a raucous duel—a kind of “poetry battle”. 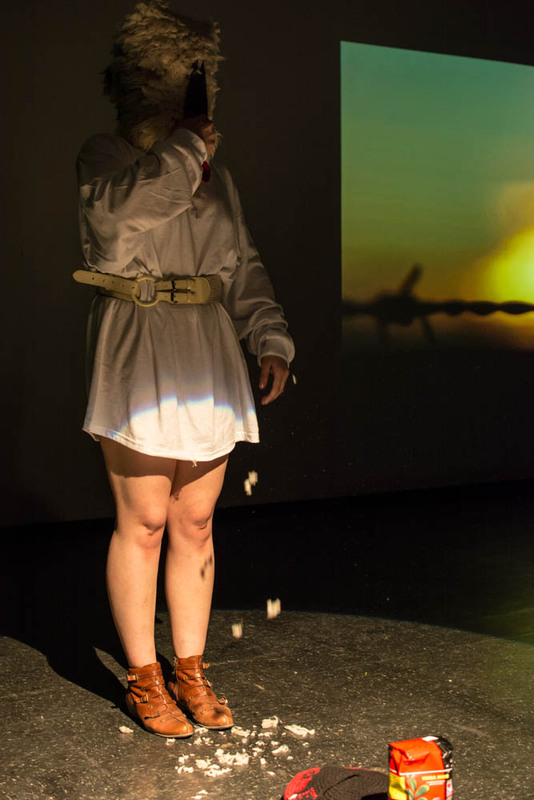 La Pomeña, an Argentinian folk song sung by artist Guadelupe Martinez in a landscape-responsive performance provided me with an understanding of how a geography, whether physically unique as a Patagonian landscape or socioeconomically challenged as in the streets and buildings of the DTES, gets implicated in contradictory and competing creative appeals (see – Poetry Battles – The Drag). Before Atiku’s performance, at the Dunlevy Snack Bar noon hour artists’ talks, Andrea Pagnes from the duo VestAndPage described how his days spent walking the streets surrounding their accommodations in the Patricia Hotel were a gift that allowed Pagnes to recall his own precarious histories, and to recognize the innovation and determination of street people. He described how VestAndPage’s performance at VIVO Media Arts the night before had been heavily indebted to his short time in this unique locale. 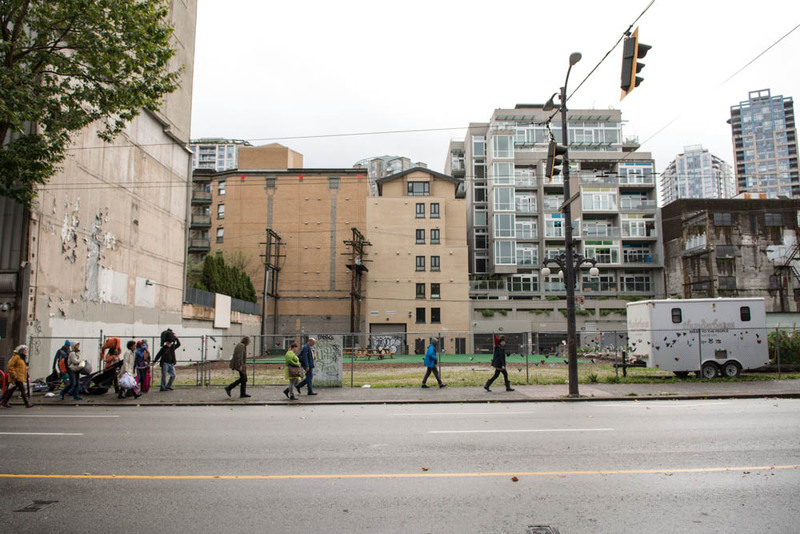 Pagnes’s gratitude contrasts in my mind with a memorable 2011 artist talk by the Seoul based duo, YOUNG-HAE CHANG HEAVY INDUSTRIES, who were uncompromising in their evaluation of the region: “THE DOWNTOWN EASTSIDE IS THE MOST SHOCKING NEIGHBOURHOOD WE’VE EVER BEEN. IT’S THE MOST SHOCKING NEIGHBOURHOOD WE’VE EVER WALKED OR TAKEN A BUS THROUGH. WE’RE SHOCKED…” I’m quoting this from a work composed during their residency at Centre A. 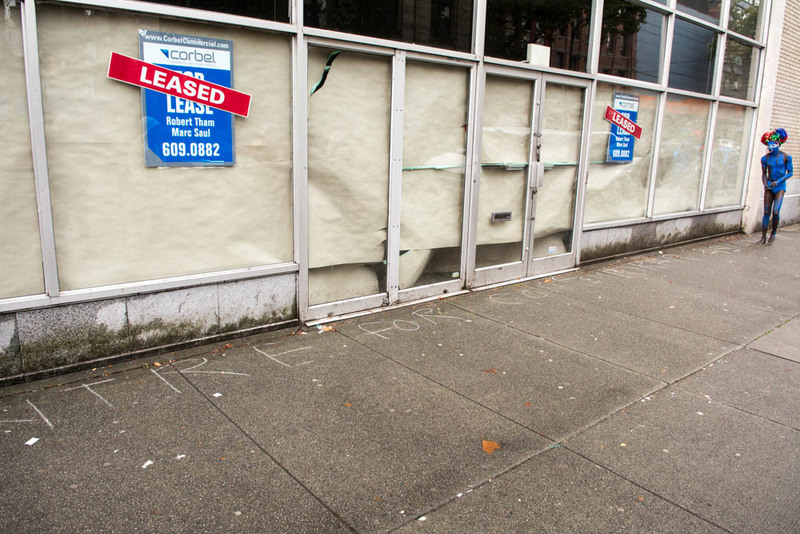 (NOTES ON THE DOWNTOWN EASTSIDE from their East Vancouver Trilogy is available here.) NOTES goes on to describe a tragic experience that the artists encountered while traveling from the Patricia Hotel to Centre A for their opening. On what is recognizable as “Welfare Wednesday” a police barricade necessitated by the tragedy of a woman’s death from being pushed out of a sixth floor window onto the street, stops the visiting artists in their tracks. Later, in concluding talk after NOTES was presented, the artists insisted that Vancouver curators needed to make the conditions of working within and about the DTES very clear to visiting artists. I personally recall feeling that the reflexivity of YOUNG-HAE CHANG HEAVY INDUSTRIES had challenged all of us to more clearly articulate our own terms of engagement for work in the DTES. 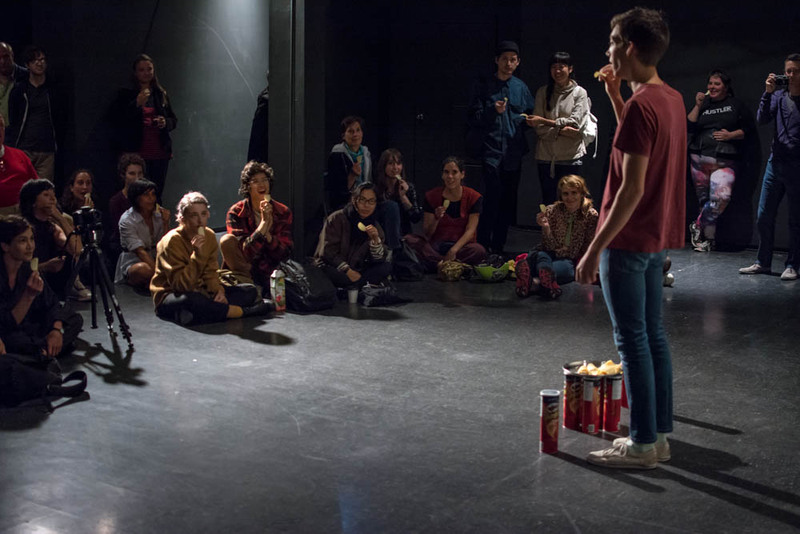 Some hours after Atiku’s performance we were back in the DTES, this time at SFU Woodward’s Fei and Milton Wong Experimental Theatre for LIVE’s only ticketed theatre event. 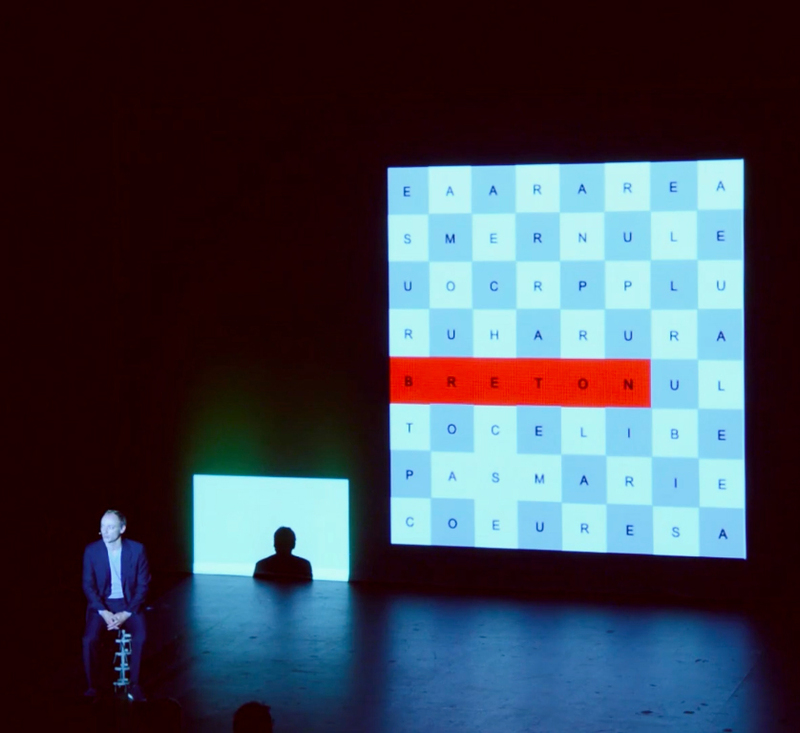 Marcel Duchamp, by curator Guillaume Désanges and performed by Frédéric Cherbœuf, offered a cursory review of Marcel Duchamp’s most celebrated achievements through projected images and videos and an entertaining monologue. A musical theatre for (or about) art school, the play seemed to be sampling of undergraduate art history textbook pictures and video clips, reiterating and reiterating, not the art but the most tired representations. 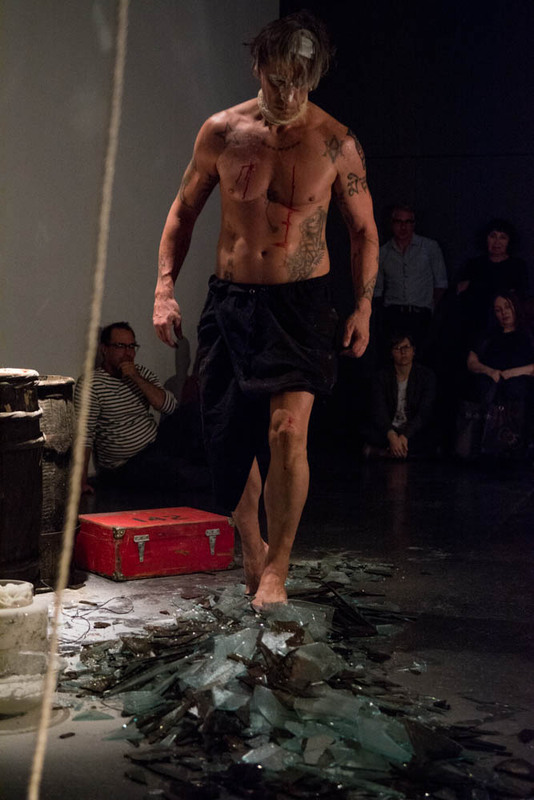 Not an academic class, and not really live art, this play displayed the writers’ relationship to contemporary art iconography. 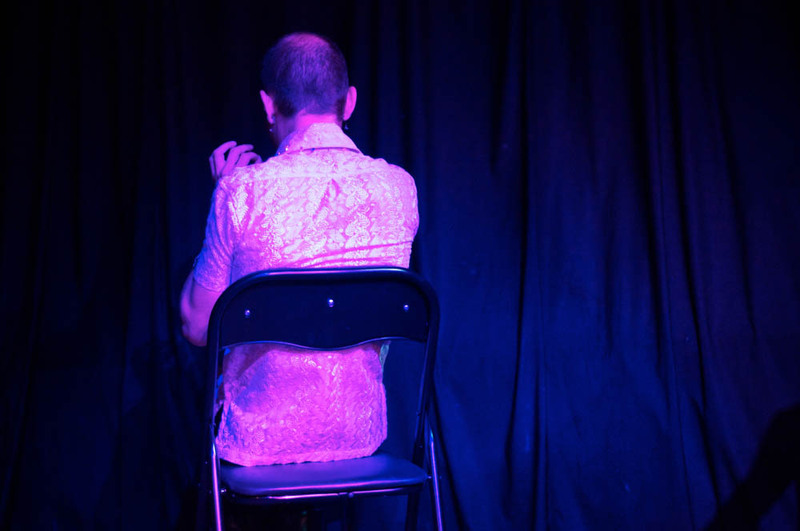 One audience member at Désanges’s talk argued that the “loving” burlesque position, whether curation or otherwise, is non-consensual and thus ethically compromised. 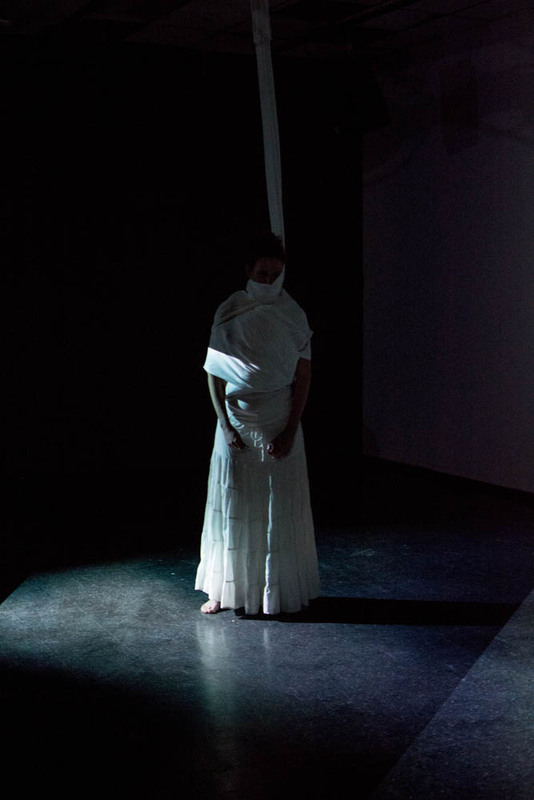 Yes, our continual re-authoring of ideas, as well as places and times, is rarely produced with the clean and clear and informed consent of the players, in the way that YOUNG-HAE CHANG HEAVY INDUSTRIES might have wished for the artists working in the neighbourhood surrounding Centre A in 2011. 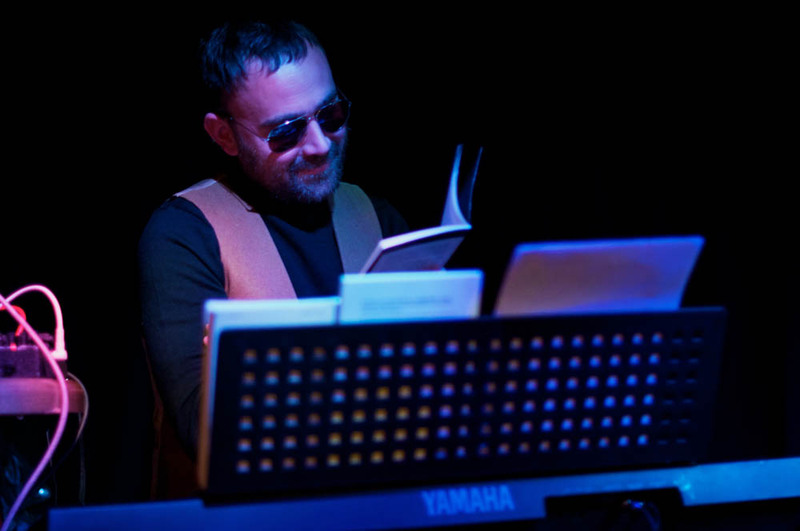 The cool samplings of the dead authors’ works in Désanges’s loving tributes are humbling and even embarrassing in the way they reveal the weak (nearly dead) material basis for our adoration of iconic moments in performance art. Lois Klassen is a Vancouver-based artist and writer. She is a new member of the LIVE Board of Directors.